It may seem an odd thing to search out the most expensive cat food brands, but higher cost usually equals higher quality ingredients and healthier food for our favorite furballs. That makes the choice to seek out such brands a combination of both kitty curiosity and care for our feline family members. After all, we live in an era where our pets are part of the family. Their love and loyalty is something that families cherish as the years go by. But taking care of your pet can be very tedious work. Not only because we love them, but because we have to make every single decision about their life. Cats are very independent but at the same time, we still love them and we always try to make sure that they stay healthy and happy. But choosing a food brand for your cat can be one of the most excruciating decisions to make. In this article we will check out some of the ingredients that these brands have as well as the price that people are willing to pay. Sometimes the cat gets a more expensive meal than us humans even. The variety of options is sometimes overwhelming, but don’t be confused. Not always the most expensive cat brand is the best. Nonetheless there are some people that only buy the best for their little kittens. While you’ll see fancy labels on many brands that claim to be organic, holistic, or superior in some other way, the truth about any cat food’s quality is revealed in its ingredients list. The most important thing to take into account is the meat protein sources, that it does not contain by-products, that it does not contain fillers such as corn or soy and that it doesn’t have preservatives or artificial ingredients. 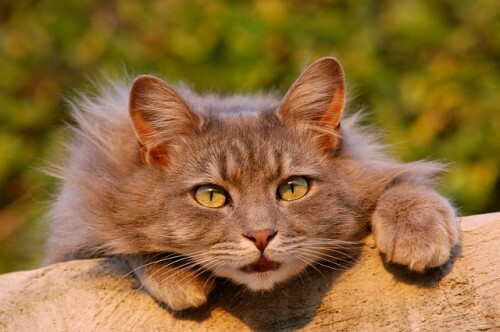 Now then, here is our list of the most expensive cat food brands out there. Also, if you are a feline lover, don’t miss out on our feature on The 9 Most Expensive Cat Breeds. This brand uses all fresh ingredients that have never been frozen. Their formula is 80 percent protein and 20 percent fruits and vegetables. These fruits and vegetables are very important because they provide essential vitamins and minerals that are highly digestible so your cat can make the best out of the meal and extract all of the nutrients. Our list of the most expensive cat food brands continues on the next page.